My goodness how frustrated I get when I rummage through my little purse in search of my keys. I have experimented with various ways to find them quicker, still I think too much time is wasted looking for keys. And I put them in place every time I use them - every time, almost - so why do they hide in my purse. Are they too heavy? Are they too small? Do they need a huge key chain? Do they simply like to play hide-and-seek? I have written about Lost and Found Keys on this blog before. I admit it, there are times when displacing keys are all my fault. Even with this underlying frustration about hidden keys, I like keys. I have old keys hanging as decoration on the wall of the Broom Closet, my beloved office space. There are key words in our everyday sentences that I have wondered about. E.g. where did the name key lime pie come from? Turns out it has nothing to do with keys. The Key lime is a citrus fruit. And what about a keynote speaker? He or she does note have to carry keys at all, only a well prepared speech which establishes the theme of a meeting. I love the fact that synonyms to the word key are uplifting and good words like: explanation, clue, solution, cue, pointer, lead. Words like this offer an end to problems, trials, and challenges. When I married Arnfinn I gave him a card. Inside I had taped the house keys, the garage keys, and a key that had the explanation, "The key to Heidi's heart. May not be duplicated." I have found some book quotes about keys today. Hope you like them, too. “You want me to give her a key?" the guy asked. "Prayer is the key to day and the lock of night." 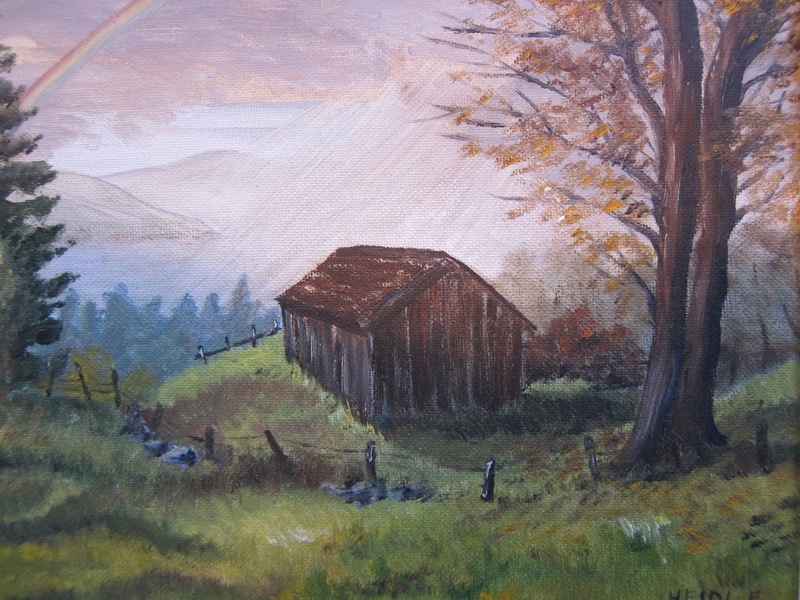 Today's art is an oil painting I did many years ago.